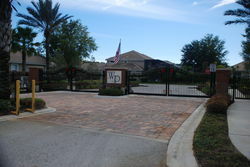 This small gated community was originally developed by M/I Homes. It is located west of Interstate 4 at the intersection of Orange Avenue and Wilson Road near Heathrow. The homes in Wilson Park are large higher end semi-custom homes with rear balconies and three car garages. Square footages range up to more than 4000 square feet under air. Shopping and restaurants are very close by at Colonial Towne Park and Park Place. Interstate 4 can be accessed via two interchanges - both no more than 10 minutes away. 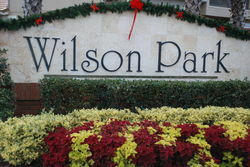 If you would like to tour Wilson Park or any other community - contact us !